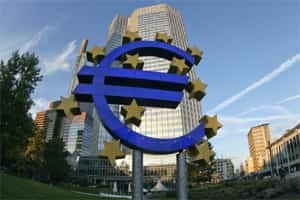 The Hague/Frankfurt: The European Central Bank cannot intervene much more aggressively to tackle the euro zone debt crisis, three ECB policymakers from the bloc’s core said on Thursday, putting the onus on governments to act instead. The ECB is under growing pressure from world leaders to do more to address the crisis, which has engulfed Italy and been exacerbated by the prospect of a political vacuum after Prime Minister Silvio Berlusconi’s impending departure. “We have gone pretty far in what we can do but there is not much more that can be expected from us," Knot told the Dutch parliament. “It is now up to the governments ... make sure the doubts about sustainability, about repayment of individual government debt are removed as quickly as possible." German government bonds pared earlier losses as hopes that the ECB may ramp up its response to the deepening crisis faded. Knot’s comments echoed a warning to European governments from German ECB policymaker Juergen Stark late on Wednesday not to rely on the bank’s help. Italian 10-year bond yields have shot past 7% - the point at which Portugal and Ireland were forced seek bailouts - despite ECB buying of the country’s bonds, making it clear that a bigger response is required. For now, with no agreement on how to scale up the euro zone’s rescue fund, the ECB is the only plausible defender. A euro zone official said the bloc was not making any plans to bail out Italy, which is deemed too big to save with the €440 billion European Financial Stability Facility. A second said the hope was that the ECB would be forced by the “gravity" of the situation to act more forcefully. Despite the intensification of the crisis, the ECB has been reluctant to deliver the kind of ‘shock and awe´ intervention that could calm markets. Last week, the central bank upped its bond purchases to €9.52 billion, still well below the 22 billion it spent when it reactivated the programme in August, and not enough to relieve the pressure on Italy. The situation is complicated because Italy’s Mario Draghi has succeeded France’s Jean-Claude Trichet at the ECB’s helm and the new president does not want to be seen as going soft on his home country and jeopardising the bank’s cherished independence. Knot said other ECB policymakers shared his views. “Intervention only has a temporary and limited effect. That is also the feeling that dominates at the ECB," he said. Another ECB policymaker, Executive Board member Peter Praet, said in comments distributed by the ECB on Thursday that it was not up to the bank to intervene in markets to address problems with a country’s fiscal sustainability. “It’s one thing to accept interventions to facilitate better transmission where there’s a lot of noise in the market," Praet said in an online interview with Debating Europe. “It’s another thing when there are fundamental doubts about the sustainability of some countries. Clearly, it is not the task of the central bank to intervene in the latter case," he said. Stark, who is poised to quit his post in protest at the ECB’s bond-buying, said late on Wednesday that the ECB’s independence would be at risk were it to lend governments support in dealing with the crisis. “We are not the lender of last resort (to governments) and I do not advise European governments to ask the ECB to become lender of last resort," Stark told a business conference.